UC Santa Cruz team made the first ever observations of a visible event linked to the detection of gravitational waves, using the small Swope Telescope in Chile. Two months ago, the Advanced Laser Interferometer Gravitational-Wave Observatory (LIGO) notified astronomers around the world of the possible detection of gravitational waves from the merger of two neutron stars. 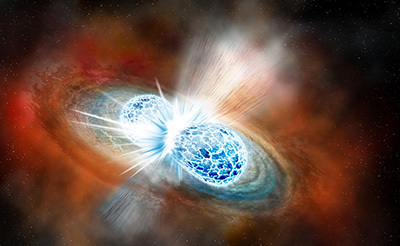 From that moment on August 17, the race was on to detect a visible counterpart, because unlike the colliding black holes responsible for LIGO’s four previous detections of gravitational waves, this event was expected to produce a brilliant explosion of visible light and other types of radiation. A small team led by Ryan Foley, an assistant professor of astronomy and astrophysics at UC Santa Cruz, was the first to find the source of the gravitational waves, located in a galaxy 130 million light-years away called NGC 4993. 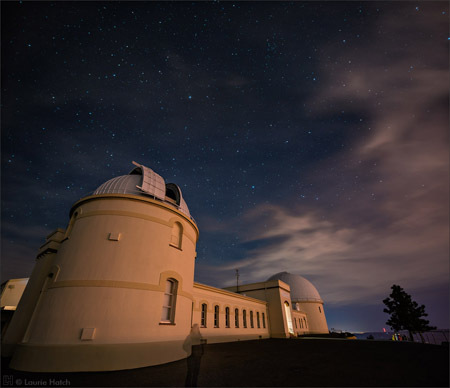 Foley’s team captured the first images of the event with the 1-meter Swope Telescope at the Carnegie Institution’s Las Campanas Observatory in Chile. Theoretical astrophysicist Enrico Ramirez-Ruiz, professor and chair of astronomy and astrophysics at UC Santa Cruz and a member of Foley’s team, said the observations have opened a new window into understanding the physics of neutron star mergers. Among other things, the results could resolve a hotly debated question about the origins of gold and other heavy elements in the universe, which Ramirez-Ruiz has been studying for years. Foley’s team is publishing four papers October 16 in Science based on their observations and analysis, as well as three papers in The Astrophysical Journal Letters, and they are coauthors of several more papers in Nature and other journals, including two major papers led by the LIGO collaboration. The key Science papers include one presenting the discovery of the first optical counterpart to a gravitational wave source, led by UCSC graduate student David Coulter, and another, led by postdoctoral fellow Charles Kilpatrick, presenting a state-of-the-art comparison of the observations with theoretical models to confirm that it was a neutron-star merger. Two other Science papers were led by Foley’s collaborators at the Carnegie Institution for Science. Foley’s strategy involved prioritizing the galaxies within the search field indicated by the LIGO team, targeting those most likely to harbor binary pairs of neutron stars, and getting as many of those galaxies as possible into each field of view. Other teams covered the search field more methodically, “like mowing the lawn,” Foley said. His team found the source in the ninth field they observed, after waiting 10 hours for the sun to set in Chile. He noted that the source was bright enough to have been seen by amateur astronomers, and it likely would have been visible from Africa hours before it was visible in Chile. 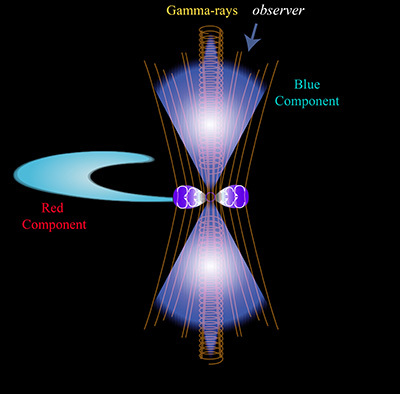 Gamma rays emitted by the neutron star merger were detected by the Fermi Gamma-ray Space Telescope at nearly the same time as the gravitational waves, but the Fermi data gave no better information about the location of the source than LIGO did. 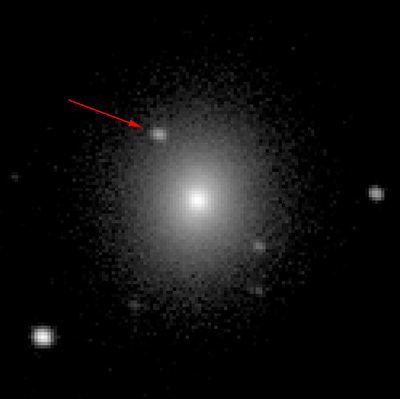 Foley’s team took the first image of the optical source 11 hours after the LIGO detection and, after confirming their discovery, announced it to the astronomy community an hour later. Dozens of other teams quickly followed up with observations from other telescopes. Foley’s team also obtained the first spectra of the source with the Magellan Telescopes at Carnegie’s Las Campanas Observatory. The gravitational wave source was named GW170817, and the optical source was named Swope Supernova Survey 2017a (SSS17a). By about seven days later, the source had faded and could no longer be detected in visible light. While it was visible, however, astronomers were able to gather a treasure trove of data on this extraordinary astrophysical phenomenon. “It’s such a rich data set, the amount of science to come from this one thing is incredible,” Ramirez-Ruiz said. The radiation this emits looks nothing like an ordinary supernova or exploding star. Astrophysicists like Ramirez-Ruiz have developed numerical models to predict what such an event, called a kilonova, would look like, but this is the first time one has actually been observed in such detail. Kilpatrick said the data fit remarkably well with the predictions of theoretical models. A theoretical synthesis of data from across the spectrum, from radio waves to gamma rays, was led by Ariadna Murguia-Berthier, a graduate student working with Ramirez-Ruiz, and published in The Astrophysical Journal Letters, providing a coherent theoretical framework for understanding the full range of observations. Their analysis indicates, for example, that the merger triggered a relativistic jet (material moving at near the speed of light) that generated the gamma-ray burst, while matter torn from the merger system and ejected at lower speeds drove the r-process and the kilonova emissions at ultraviolet, optical, and infrared wavelengths. Ramirez-Ruiz has calculated that a single neutron-star merger can generate an amount of gold equal to the mass of Jupiter. The team’s calculations of heavy element production by SSS17a suggest that neutron star mergers can account for about half of all the elements heavier than iron in the universe. The detection came just one week before the end of LIGO’s second observing run, which had begun in November 2016. Foley was in Copenhagen, taking advantage of his one afternoon off to visit Tivoli Gardens with his partner, when he got a text from Coulter alerting him to the LIGO detection. At first, he thought it was a joke, but soon he was pedaling his bicycle madly back to the University of Copenhagen to begin working with his team on a detailed search plan. Foley’s team at UC Santa Cruz includes Ramirez-Ruiz, Coulter, Kilpatrick, Murguia-Berthier, professor of astronomy and astrophysics J. Xavier Prochaska, postdoctoral researcher Yen-Chen Pan, and graduate students Matthew Siebert, Cesar Rojas-Bravo, and Enia Xhakaj. Other team members include Maria Drout, Ben Shappee, and Tony Piro at the Observatories of the Carnegie Institution for Science; UC Berkeley astronomer Daniel Kasen; and Armin Rest at the Space Telescope Science Institute. 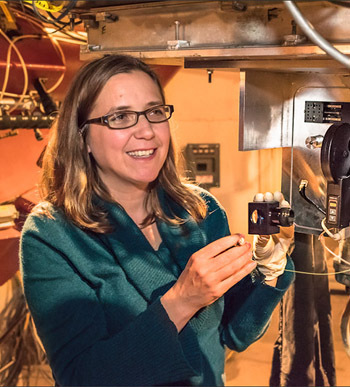 Their team is called the One-Meter, Two-Hemisphere (1M2H) Collaboration because they use two one-meter telescopes, one in each hemisphere: the Nickel Telescope at UC’s Lick Observatory and Carnegie’s Swope Telescope in Chile. The UCSC group is supported in part by the National Science Foundation, Gordon and Betty Moore Foundation, Heising-Simons Foundation, and Kavli Foundation; fellowships for Foley and Ramirez-Ruiz from the David and Lucile Packard Foundation and for Foley from the Alfred P. Sloan Foundation; a Niels Bohr Professorship for Ramirez-Ruiz from the Danish National Research Foundation; and the UC Institute for Mexico and the United States (UC MEXUS).